Each bag is weighed out to either 3g or 5g. 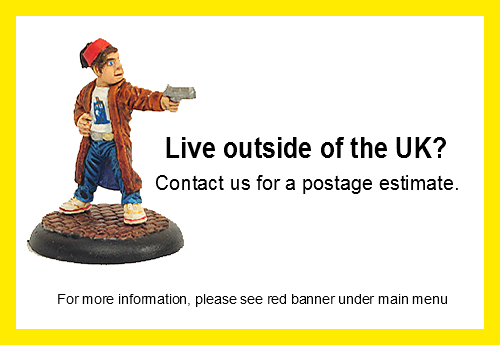 The images shown are to illustrate the amount you will receive. Please not that contents of each pack will vary from that shown in the images. 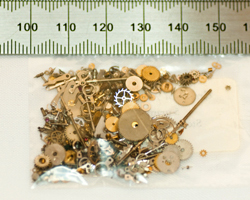 A 3g bag provides you will a small colelction of watch parts such as cogs, screws, rods and strange shaped objects which are great for steampunkin' your miniatures of any size. A 5g bag gives you with a larger selection compared to the 3g bag but for 15p less per gram! 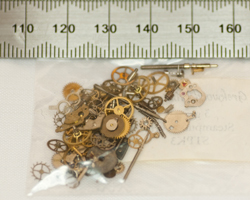 Each bag provides a selection of watch parts such as cogs, screws, rods and strange shaped objects which are great for steampunkin' your miniatures of any size.